Following our previous blog post and livestream Q&A there has been some confusion surrounding our plans and the future of Space Engineers. Yesterday, I had an interview with Captain Jack who wanted to get to the bottom of some of the questions coming from the community. I want to answer the questions, but also I want to provide an insight into how we think and why are we doing what we do. I won’t reveal any of our surprises, but other than this, I am transparent. New features: female engineers, ladders, etc. Why do you not like to talk about your plans at Space Engineers? Do you even have any? The short answer is, yes. We have very concrete plans both in the short term and the long term, both for Space Engineers and the genre of engineering games as a whole. We are constantly developing many different things in the background, working on new features and aspects of the game. There are two main reasons why we don’t want to talk in too much detail about our plans. We have been asked specifically for an explanation as to why features that the community really want are not planned. Just because we do not announce something in advance, it does not mean it is not planned. We see new features and updates as surprises for our community. For example, if you go christmas shopping for your friends and family you don’t announce beforehand to everyone what you have bought them. It is the same way in Space Engineers - and we do have some surprises in store! There are two examples of how this has worked and not worked. Solar panels: are a great example of how we listened to the community and launched them without prior announcement. Everyone loved it! Planets: I wish that we had left planets a surprise rather than announce them 6 months before the launch. 2. We are a small team, so having freedom and flexibility is important for our creative process. It also means we need to carefully prioritize. If we start working on one area, it usually means taking resources from another area, it is a delicate balance. It’s a zero sum game. Also, when we do add features to the game we want to make sure that they are perfect before we release it. We do not want to give in to pressure and release something that we are not happy with, just to get it out faster. If we announce things prematurely, then we lose flexibility of changing plans, doing things differently, or in a different order, etc, because we would be bounded by our earlier announcements. We don’t want this. Ladders: I love ladders, I was the one who originally introduced ladders into the game, I think when you see your hands climbing the ladder it makes the game more immersive and brings it to life. However, at the moment we have other priorities and we cannot do everything. We definitely want to see them in the long-term future but when we have more time to perfect them. Character customization: the core focus of Space Engineers is not on the character itself, but on what you build. However, again I would love to add character customization but we want to do it properly, not just copy/paste a feature from other games because they have it, but create something original - in true Space Engineers style. Female Engineer: I don’t want to ruin any surprises! Aerodynamics/deadly reentry/more weapons: again these are all things we would love to see in the long term future however, they are not currently our top priorities. I hope that this has been a clear explanation as to why we do not like to give away our plans in too much detail. It is not because we are hiding anything from our community, it just allows us to give you surprises and gives us the freedom and flexibility we need to produce the game to a standard we are happy with. Can we still expect new features (and blocks) in the future? Why have you decided to move to the “finishing” phase, have you lost interest in Space Engineers? It is safe to say that my team and I have not lost interest in Space Engineers, we love the game. It is my child! There will definately be new features and new blocks in the longer term future, however at the moment we are focusing on creating a polished game with no rough edges and excellent user experience. Then we will start to experiment again but without jeopardizing this stable version. Are you already working on a new version of Space Engineers? While we have many ideas for what Space Engineers might look like in the future, we are currently not working on any other games (except Medieval Engineers of course, which has its own dedicated team). In the long term future the natural progression would be to develop another engineering based game, this could be a sequel, or an extension, of the current game. But what we do know is that we are unlikely to develop any other games in long-lasting early access. To summarize, now we are focusing on finishing the current version of Space Engineers, the game that is out there on Steam Early Access. The main goal is to polish everything that is already in the game (e.g. optimizations, multiplayer, engineering, physics, etc) and not deemed “experimental”. Once this phase is over, once the game is officially released, we will start working on a new game / new product - and we will keep this as a surprise. This will be the next evolutionary step in the engineering games genre. It’s very likely that we will be providing small updates to the current version of Space Engineers, the game that is out there on Steam Early Access - but only things that don’t break backwards compatibility, not dramatic changes, etc. This first version of Space Engineers is about building, engineering, physics. Those are core features. Everything else can be added later, in future versions. Now it’s important to get a stable version that players can enjoy for a long time, while we work on the new and experimental stuff in the background. What is the best way to report bugs or give feedback/suggestions to the Space Engineers team? As Space Engineers is still in development it is quite normal to find bugs and we really appreciate getting reports which we can work on. However, it helps if we have precise bug reports that we can recreate, which are reported through the proper channels rather than hateful messages on social media. All that creates is drama, which can be fun for some people 😏, but it also distracts our team from their core activities of developing. What are Space Engineers current priorities? Currently our priorities are multiplayer, improving the performance of the game and better simspeed. We are aiming to create a game that looks and feels like reality and that is a pleasure to play. There are already 100x more features in the game now than we had ever planned for when we started. There will always be more to do and always requests to add new features in a polished state, therefore we need to start managing expectations. If we don't answer every question from every person, it's not because we don't care. It's only because there are many people, many questions, many opinions. We would love to answer everyone. Future Q&As - Captain Jack had a good idea of doing these community moderated Q&As in the future and we are very open to this. It’s the best way how to communicate our thoughts and plans to you. You can expect more of them. Thank you for reading and we look forward to hearing your feedback. Thanks for the update Marek. It's truly been a joy to watch Space Engineers evolve and matriculate over the last 5 years into the magnificent achievement it has become. Thank you for always listening to and working with this community's ideas and feedback to together build extraordinary things. You and your team have created the game I always dreamed of, can't wait to see what the future holds from KeenSWH. Great interview, thanks for clearing a lot of things Marek. Space Engineers are great game, so keep up a good work! Fix the dedicated server setup its old and its not easy to work with! I am tired of running a server and it never works right its too complex and its never been updated! Please fix it or address the setup. Thank you Keen! I bought this one day 1 and have 700+ hours whatever your plans are I've already got my money's worth. Great game! Good interview, much more informative, there are a LOT of complicated systems that require polish in SE and I noticed you mentioned certain things you spent months on that no one really cares about or uses. Would this be something like the Visual Scripting or Cinematic Tools? I think you would find people would use them a lot more if they were more easily accessible and fleshed out better, most people I talk to about VS don't even know it exists! Exactly what I want to hear! Can't wait for a finalized product to get back into the game! >> We see new features and updates as surprises for our community. Here is my issue with this. When y'all release a major update, there is such a large quantity of changes that it is highly unlikely that we would properly be able to test them all. There is just so much stuff that is becomes easy to overlook some changes. We are your army of testers, but testing becomes much more difficult when things are kept secret then spring all at once. If updates weren't giagantic surprises, but were incremental updates with fewer changes that were clearly described, I feel this would be significantly better for testing. The reason for this is that community testing and bug reporting would be much more focused with smaller incremental changes. This means that we would be much more likely to find issues quicker since there would be fewer changes for us to keep track of. For example, I'm still finding odd bugs and quirks from 2 majors ago since there was such a volume of changes that I didn't have time to dive into them all. Some of the difficulty in finding these bugs is also associated with incompleteness of change logs. This issue is much more likely to occur when you have tons of changes as compared to fewer changes as it becomes easier to miss one or two changes when you have a lot. It is my opinion that secrets and surprises decrease the community's potential to efficiently squash bugs and make this into the game that we all want to see succeed. I believe that more incremental updates with better communication as to ALL the stuff that was changed would help us to improve stability as development continues. I think the major reason they have changed Whip is due to the fact that Marek said pushing smaller updates they didn't have enough time to test everything before it went out. Marek specifically said it takes about 3 weeks to go through the whole game and test everything, something you cant do with weekly or even monthly updates. I understand this would really mess with modders and maybe what Marek needs to consider is being more transparent with active prolific modders (such as those in Discord marked as such) and have them on a NDA so that you guys can have the inside track on what's coming up and contribute, plan around it. Marek specifically said that he is grateful to work hand in hand with so many talented modders in developing the game. I would go on further, to say to Marek directly, if this is the case you should probably looking at being more transparent with these active modders as they are really what has kept the game alive during the phase of optimization and bug fixes. People aren't looking to Keen for cool features anymore as much as they were anymore, they are looking to the modding community and its clear that KSWH's objectives are optimization and Multiplayer stability which is definitely the highest priority and can not be done by the modding community. Further to this, in terms of how development is going to wrap up and what the 'surprises' will be. Taking this approach sounds good in theory, however, when you combine this with the announcement of the cessation of the addition of new community requested features and discuss moving on to development of a new game it comes across quite negatively to a lot of paying customers that had expectations of what was going to be in the final Space Engineers game. Rather than face the backlash involved with when you do release "X" feature as a surprise from all the vocal people who are going to denounce it as not being they thing 'they' wanted. You should just bite the bullet now and categorically state, "this" is going to be in the final release and "this" is not going to be and get it out of the way. Your release schedule in conjunction with your announcement means a lot of customers aren't impressed by for 'cool' surprises/features. They are looking for reassurance the game is not an abandonware EA title, as so many of them are, and that it will be a stable playing experience. Sure people will continue to demand things and they will be angry they aren't getting what they wanted but as the saying goes "You can't please all the people all the time". Otherwise anything you want to release as a 'good' surprise will certainly be drowned out by the wave of people complaining about not getting what they wanted and just create a negative experience for the customers and for KSWH employees, I promise you, people like MeowCaptain will continue to make disparaging videos, tarnishing anything you release later. You are better off removing the ambiguity and just stating plainly what the final game will contain and what it won't and assisting modders in fleshing out parts of the game you have no further interest in pursuing. Sure you may cop the 'modders finished the game' attitude from some people but honestly as long as people are paying for and enjoying the game, who cares? thanks for the feedback. I agree, I personally should be more in touch with our modders. most up-to-date info, code changes, etc. But I will double-check how we communicate with them. ambiguity, please let me know about the specifics. it's just not possible for us to work on everything, so we need to prioritize. It's probably not yourself personally that needs to be more in touch with them, though a personal "Hello" can go a long way to fostering good relations. It's more your community manager I was thinking of that can collate a list of issues/requests from the modders. Then your senior management team can then go through them with you and decide whats possible and what's not, I know from hanging out in the modding discord now and again there is a LOT of stuff people want to be able to do but cant due to 'protected areas' and other issues - you are probably doing this already? I don't know if Whiplash is on that list of modders/scripters, however I know his content is quite popular so if he hasn't reached out for the type of NDA access you have indicated is in place, maybe your Community Manager should be reaching out to those people and bringing them into the fold. That would result in a more stable experience for everyone as the game goes through its final major changes. There is a reason Bethesda values modders so highly, it adds a lot of life to their games in the long run and keeps people interested in buying the next product. The modding community at this point is really the 'lifeblood' of new 'stuff' thats keeping people engaged in the long term, which is readily apparent by the fact that modded Space Engineer streams are so popular whereas Vanilla streams are almost non existent, and if they do exist, have a low viewer amount. Personally I find the Vanilla game a pretty boring experience, there is literally nothing to really challenge you. A couple of PvE mods later and you've got an interesting single/multi player game to play anyway, which I'm fine with. However a lot of people that purchased the game were expecting something of this nature to be part of the 'Vanilla' game, something like the 'Official Campaign' but more involved, I'm personally creating something of this nature myself for the 'Star System' scenario, however its a lot of work for one person! Additionally, some of these things you just can't mod in easily if at all, such as status effects and simulated weather particle effects. Sorry, you have actually addressed the question of "What won't be included in the final game" and alluded to some things that "Will be in the final game". I stand corrected! I would like to address three of these specifically where are of most concern to the community citing (https://feedback.keenswh.com/category/general-gameplay/feature-suggestions). I'm a pretty straight forward person so I'll just state it plainly. You could probably get away with not putting them in the game without too much backlash, on the flip side it would generate a LOT of goodwill from the community. Ladders - I know you don't really get why people want them but trust me, ships and stations looks silly without the ladders mod, I use them everywhere, activating a Jetpack in a moving ship is a death sentence as is falling from some height when your jetpack runs out of gas and you didn't notice until you went splat. This would also generate a lot of goodwill. Again there is a mod on the workshop that works perfectly fine (without animations) in SP and MP so a good reason as to "Why not?" also comes up. Also, on the 'Survival Game' experience, if it's not included in the Vanilla game you are going to experience MASSIVE backlash from a very vocal group of people who purchased the game expecting a survival game that doesn't require them to modify the Sandbox themselves to create that Scenario. If you peruse the workshop you can find a collection of mods that will kind of simulate this but they are disconnected and lack coherence, plus without in house code access they have issues. 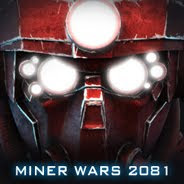 From what I gather a lot of people believe that Miner Wars was an unfinished game (I neither agree or disagree as I've never played it) and that Space Engineers is going to end up the same way. A product advertised as one thing and delivered as something completely different. These people are going to feel burnt and will bombard your steam page with negative reviews of an abandoned and feature incomplete game as a time when you want to try and generate a fresh batch of product sales. YouTube will be littered with videos stating the same (as you've seen its already begun with MeowCaptain - though I don't agree with what he is saying and told him as much), creating a studio reputation of two released games that did not include the features they were advertised to have. It would be a shame to release a game after 5 years of hard work in EA to this type of response when the creation of these two things, while taking some significant development time, would be well worth the effort to satisfy two of the core concerns regarding the release of a final version of the game. This would pave the way for consumer confidence and KSWH delivering an SE2 that is bigger and better than SE. In relation to "assisting modders in fleshing out parts of the game you have no further interest in pursuing", I should clarify that too, in "expanding the game in directions that are not part of your final vision of the game upon release". E.g. the things you said were not going to be on the agenda, such as re-entry mechanics, aerodynamics, weather particle effects, etc. P.S. I think Space Engineers is an amazing Sandbox, there is really nothing like it out there, you guys have done an amazing job. Well they can always look up the steam workshop. There are an absolute blast ton of block packs which work really well together and will grant the flexibility which people seek. This game is one of those games that will grow hand in hand with it's modding community. As Mr. Rosa said, they are a small team (which is pretty apparent from the time it takes them to get quality builds out) and with that said there are certain things which need to be addressed faster than others. For example, the performance we get is atrocious when we consider the fact that we are supposedly in beta now. I get it that people who load planetless worlds will feel no lag from that, but as a game that is basically made to stand on it's multiplayer rather than have some pre scripted single player "enemy" content (a serious one I mean), it will have to run much better. That is a milestone that needs to be hit before anything else. My guess would be that they'll release a heavily multithreaded dedicated server program or something along those lines, as writing down a stripped down version of the game for the sole sake of driving the multiplayer is the best way to do this, instead of "implanting" it through LAN (this has way too many issues to deal with). Until that happens and we can play with rock solid real time sim speed at all times, I would say everything else is fodder as far as priorities are concerned. Afterall, no matter how many millions of blocks there are in the game, if the only thing we can do in real time is to fly the ships we build and never do any real combat due to the sim speed dropping to near 0, the entertainment value of the experience will not be where it should be for a game that has all the indications of putting MC and all the other similar games to shame. Hey. The collection of bugs can you collect to create the directory blocks and add the menu to report bugs. Or, you can change the block menu by adding an error button. Dear Marek how can you say this version is even above its potential? I clearly remember years ago when the project for Space Engineers was to create a procedural universe... where this project went? Hi Marek, as I remember long ago in some changelog video in the end was sort of preview or announcement of "hydrogen to power" block. It was so long ago so I cant even remember was it true or not, and it will take a lot to re-watch all videos. Was it true and will such block be implemented in "vanilla"? is this game dead? Any ETA for the next update?? I don't know, it has been 4 long months of nothing. Is space engineers and medieval engineers coming to playstation 4 any time soon. Will space engineers and medieval engineers coming to playstation 4 anytime soon. We landed on a Planet. I did not see the ground where it really was. We restarted the game, and this time i was hosting it. Everyone saw the ground. A friend of mine tryed to build a solar pannel but could not see it. I saw it as the host. Both of my friends did not see what they where building. Every year since 2013 i try to play this game... I and i did back in the days, at least in multiplayer. After 4-5 years of trying i finally give up. This is merely a bad tech demo. The game just dont work. You say its your child, i say burn it with fire. Take the money you got from us and start over again. Dont get me wrong, i had my portion of fun in this game. But at this point i dont think it will ever bee what it could and should be. I should have been warned by the fact that there is no linux server. Nothing good ever came out when a game like space engeneers does not support a simple headless server on linux. Just 50Cent from a somehow disappointed fan. The fact that i am taking the time to write this, the fact that i am so disappointed should tell you how much i cared for space engineers. Its no hate, its no salt, its just how i (and some of my friends) see this game. It was a fun ride keen, goodbye.